Harry Truman might just be my favorite American president: fair, strong, pragmatic – and with an impeccable civil-rights record. 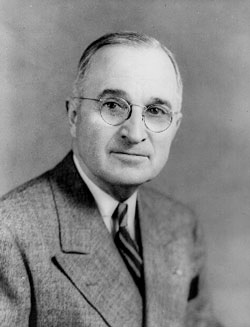 Truman wasn’t born till 1884. But his Southern family lived near the Missouri-Kansas border during the Civil War, and they were plundered and tortured by Kansas jayhawkers. Truman’s uncle Harrison Young – for whom Truman was named – was just 10 years old when Union militia attacked the family home and tried to get information from him about Southern bushwhackers – similar to the scene with Jesse’s stepfather in Guerrilla Season, except that Truman’s uncle was just a child. When the boy would divulge nothing (or perhaps he knew nothing), the Yankees hanged him repeatedly by the neck. “...They tried to make my uncle Harrison into an informer, but he wouldn't do it. He was only a boy. ... They tried to hang him, time and again they tried it, 'stretching his neck', they called it, but he didn't say anything. I think he'd have died before he'd have said anything. He's the one I'm named after, and I'm happy to say that there were people ... around at the time who said I took after him." Harrison’s mother – Truman’s grandmother, Harriet Louisa Young – never forgot or forgave the harsh treatment of her family at the hands of the jayhawkers. Every year as they sat down to Thanksgiving dinner, she would remind her children and grandchildren that some family in Kansas was about to eat off the Young family’s china. 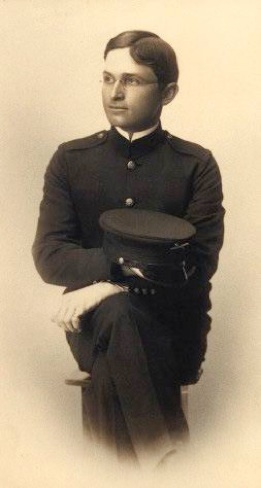 Young Harry in the uniform that raised Grandma’s hackles.